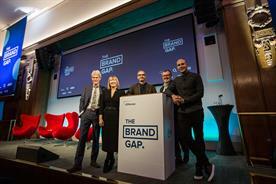 Whirlwind purchases by the radio group have served notice to the UK media industry that it intends to be an unrivalled destination for marketers looking to build brands. 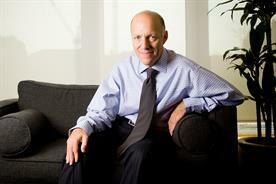 Global’s acquisition of Exterion Media took four days from initial approach to binding offer. Ocean Outdoor had been in advanced talks for weeks to buy Exterion Media but Stephen Miron, group chief executive of Global, snatched the prize after high-speed negotiations over a couple of nights. The fact that Global bought Exterion Media for an estimated £450m just three weeks after paying the best part of £300m to buy Primesight and Outdoor Plus in a double deal made it more remarkable. 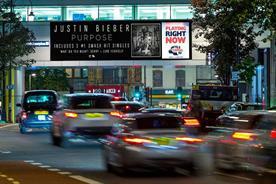 Global, Britain’s biggest commercial radio group, has transformed UK out of home, taking the market from six main players to four and creating a new powerhouse with about 32% share, just behind JCDecaux on 36%. It wasn’t the first time that Miron, the former managing director of The Mail on Sunday, had outwitted a rival in the dead of night. In 2012, Guardian Media Group was poised to sell its radio assets to Bauer when Miron went to GMG, made a higher offer and refused to leave the building until a deal was done. Entering OOH is a bolder step for Global, which owns Capital, Classic, Heart, LBC and music festivals, because it is new territory. Miron was able to move fast because Global has a wealthy owner, Ashley Tabor, its executive president, with access to financing. It has also been buying other private companies, the first of these being Outdoor Plus, which it acquired over the summer. Miron was already close to Jonathan Lewis, the founder of Outdoor Plus, and the acquisition of the company was completed on 31 August. They kept the news secret because Miron had also opened talks with Primesight, taking about four weeks to finalise the takeover on 20 September, when Global announced the double deal. Global received positive feedback from advertisers, and that gave Miron confidence to pursue Exterion Media. Miron and Tabor had little time to carry out due diligence but knew that Ocean Outdoor, which was readying its stock market float, had scrutinised Exterion Media. Global unveiled its offer on 12 October as soon it was signed at 6pm that day. 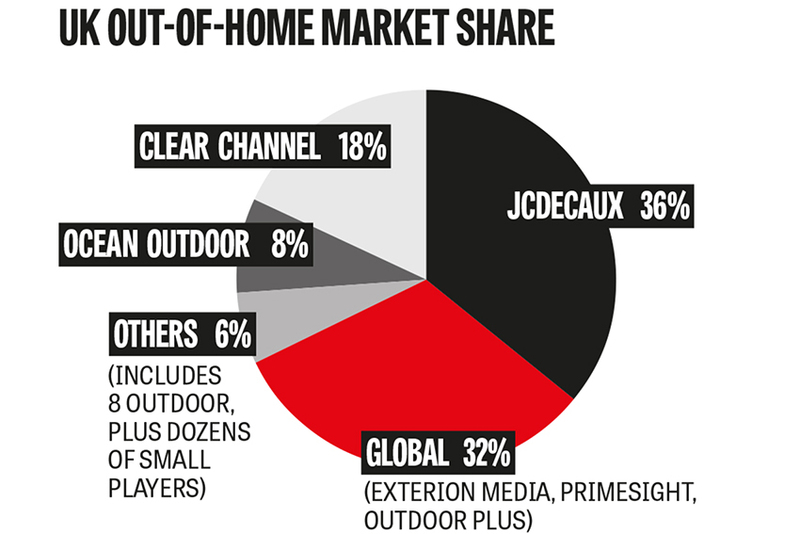 Global needed to looked beyond commercial radio, where it has close to a 50% share, and the UK’s £1.2bn outdoor sector is nearly twice the size by revenue. 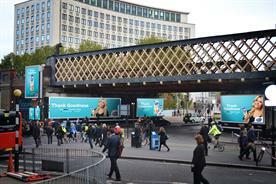 Global’s triple OOH whammy more than doubles its annual turnover from £300m to about £775m. Miron and Tabor say radio and OOH are a good fit, and digital technology should drive growth, but OOH has grown only at about 2% annually because of a lack of investment. Media peers are impressed. 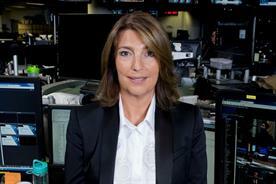 Dame Carolyn McCall, chief executive of ITV, says: "What they’ve done is great. It’s very complementary – radio and posters." Exterion Media also operates in Ireland, France, the Netherlands and Spain, raising the possibility of European expansion or disposals. 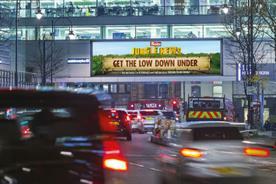 Even competitors concede Global’s OOH portfolio is a good mix. 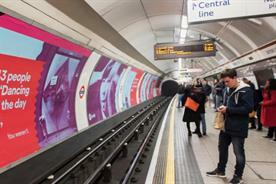 Exterion Media’s best inventory is Transport for London’s Underground contract, worth more than £150m a year, plus the UK’s largest network of buses. 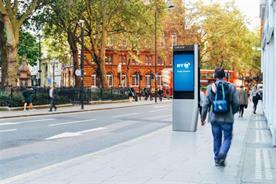 Primesight has 10 airports, including Gatwick and Luton, the internet-connected BT InLink kiosks and "classic" roadside posters. 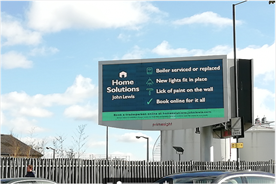 Outdoor Plus has premium, digital screens in London. 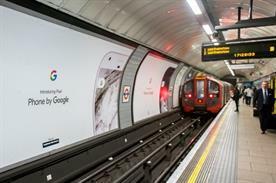 Global’s breadth of assets means it can answer almost any OOH brief from a UK advertiser, according to one specialist buying agency. Industry sources do not expect competition regulators to block Global’s acquisition of Exterion Media due to the fact that it has only a sales contract with TfL; it doesn’t own the asset. 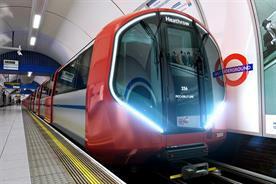 Global will need to work at the commercial relationship with TfL, with financial targets said to be demanding. Exterion Media’s accounts described 2017 as "challenging" in the UK. Global Outdoor, the new division, does not plan any integration of the three OOH sales teams until next year. A merger will drive savings but observers warn there could be a clash of cultures. 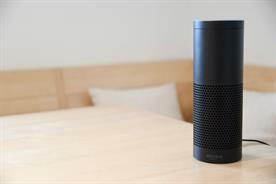 Other media owners have previously found it difficult cross-selling radio and OOH. Private ownership means that "you have a longer time to do what you need to do", McCall says, comparing Global with ITV. "There is a big difference when you are a listed company, having shareholders, having to make returns." Some observers wonder whether Global could list on the stock market, but a well-placed source said the Tabor family is not interested. Seen in this context, it doesn’t matter what profit-multiple Global paid for its OOH assets or how fast they make a return. Miron and Tabor have made a strategic bet that OOH is a growing medium that will prosper in a digital world where brands need fame and mass reach. JCDecaux faces serious competition and Global looks keen to seize a leadership role by joining Outsmart, the UK trade body that the French giant shunned temporarily before rejoining. 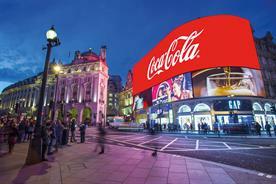 The JCDecaux-Global relationship could be pivotal in deciding whether the sector unites or polarises. 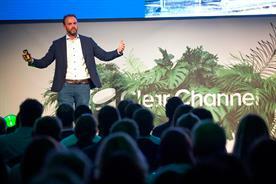 Clear Channel, which should be free to do deals as it emerges from US bankruptcy protection, and smaller players such as Ocean Outdoor and 8 Outdoor will be weighing up their options. The specialist poster-buying agencies, such as WPP’s Kinetic and Dentsu Aegis Network’s Posterscope, must also adjust to a simpler marketplace. However, Global is mindful that Exterion Media did itself no favours when it tried to challenge Posterscope’s power two years ago. OOH remains complex because there is no common platform to buy even one channel, such as roadside or airports, across the UK. Global brings experience of building Dax, a pan-industry, digital audio platform. One leading advertiser says Global’s entry will be "good for innovation" but worries it might be "not so good for competition". Global’s track record in radio since buying GCap in 2008 suggests it will grow the medium, rather than seek share. Claire Enders, founder of Enders Analysis, says Miron deserves credit: "It’s an enduring strength of Global to have a CEO who is very, very good at sales." The big question is: what could Miron and Tabor buy next? Global has transformed itself as a platform for brand-building with its OOH play. If it can connect that with commerce and data at the bottom of the marketing funnel, it could be another game-changer.